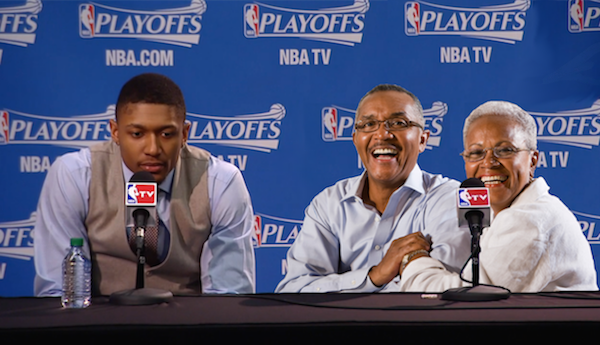 » What Should NBA Players Bring to Postgame Press Conferences Instead of Kids? Children. They’re cute. It’s almost like they’re very small human beings, completely lacking in guile, who are totally dependent on adults for their care and survival. But are they too cute? 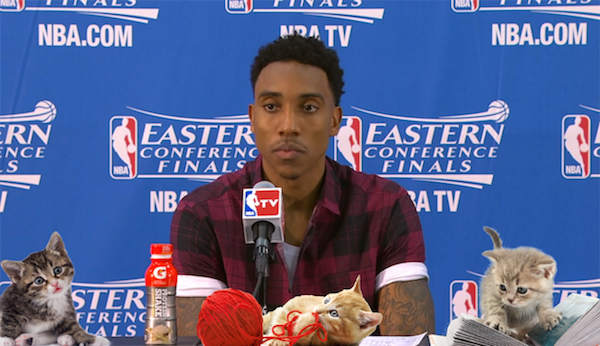 Are their warblings and penchant for playing peek-a-boo under the interview table too distractingly cute for the NBA workplace? Do cute children keep the hard-bitten sports scribes from being able to ask “could you talk about” questions? Maybe. Quite possibly. Parental bonding. 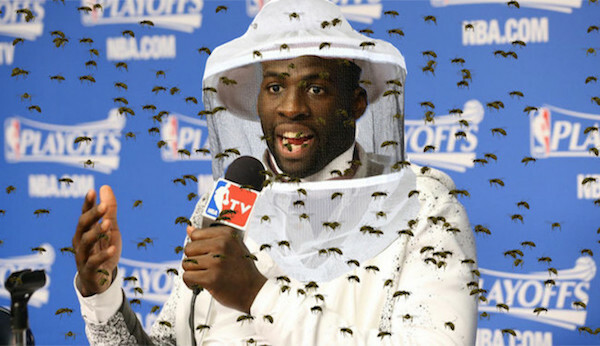 NBA players are on the road large chunks of the year. They could miss a bevy of traditional developmental landmarks, like a child’s first words and first steps. Gives mothers a break. Who do you think is doing all the parenting when dad is on the second night of a back-to-back? It’s never too soon to teach kids about the importance of work and about being accountable for your actions. Lastly, and the most subtly important reason to bring your child to the postgame: Reporters would have to be real jerks to ask a player hardball questions while the player’s angelic child gazes out over the room with his/her big old anime eyes. 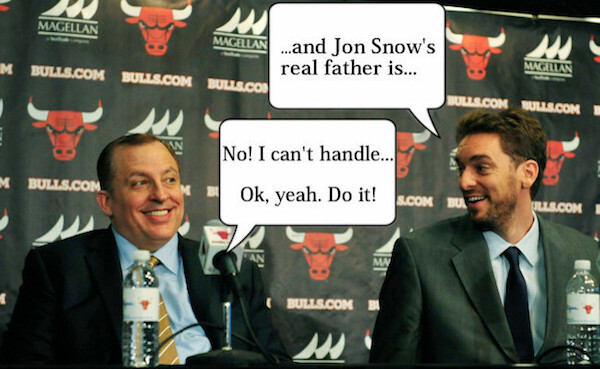 But, if some have their way, players may not be able to bring their children to the postgame podium. Here’s a list of practical replacements for the podium baby. 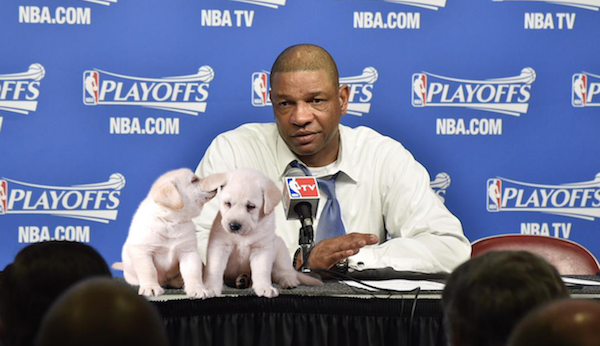 Imagine trying to ask Doc Rivers why he didn’t do a better job filling out the Clippers bench while two golden retriever puppies squirm in his lap and chew on your recording device. No one can resist puppies — that’s why the Puppy Bowl exists. Cat people are a specific breed, it’s true. But, still, nearly everyone loves kittens, even if their popularity doesn’t reach the level of puppies. They don’t chew as much or make as much noise, which is why cats are once again the second-best domesticated-animal choice. 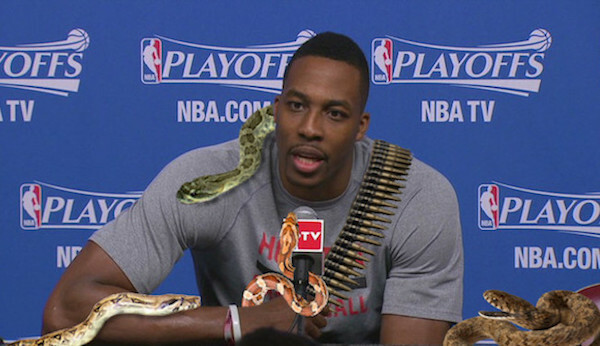 Think you’re asking Dwight Howard why he picked up that fourth foul when the big man’s 20 snakes are slithering around the interview room? I highly doubt it. This is underrated. Once, when I was a kid, I was about to get into a fight with a bunch of local ruffians when my grandmother came ambling out of the house and shamed them into leaving me alone. Every culture on earth demands that people should respect their elders, and even the most coldhearted investigative journalist is cowed by the sight of blue hair and toilet cozies. The honeybee is an important and increasingly endangered link in the world’s ecosystem, playing an integral role in the fertilization of a wide variety of flowering plants. Additionally, honey is delicious. Many, if not most, of the viewers of Game of Thrones have not read the books from which the story is adapted. And, while the show is very nearly caught up with novels, there are still a few spoiler cards left to play. Nothing clears a room faster than the threat of spoiler.